THE ULTIMATE CUTLERY TRAVEL KIT AND SILVERWARE STAND! CONVERTIBLE: Functions as a standalone display stand so cutlery is elevated in full view for easy utensil access. In a standing position, it also saves on space in tights spots with limited room. 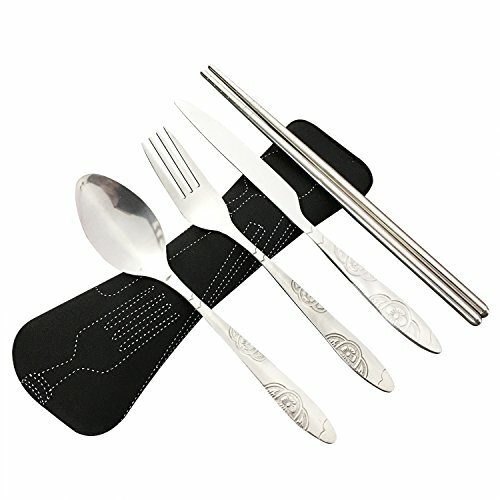 Neatly folds to transport eating utensils to your next event. 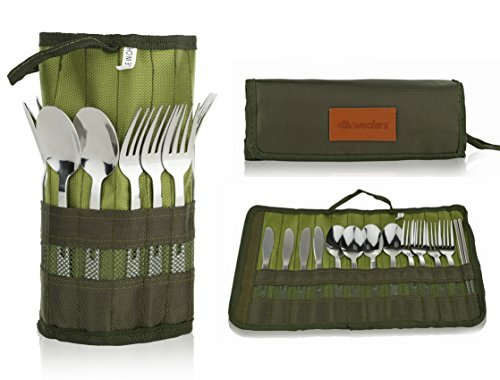 DURABLE | RUGGED: Made with tough woven cotton and linen it protects your utensils from the elements, falls and has multiple compartments so flatware stays sturdy and doesn’t clatter during transportation. FASHIONABLE | STYLISH: A contemporary design with a woven multicolored pattern it’s sure to be a hit at your next boat ride, barbeque or camp. 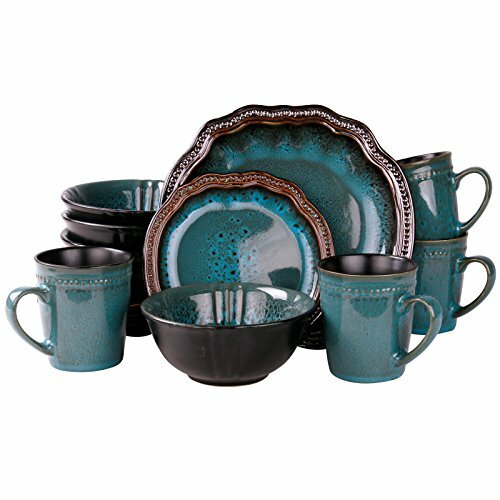 Blends in nicely with existing dinnerware décor and adds a vibrant splash of color to your spread no matter what the occasion. PORTABLE | TRAVEL FRIENDLY: Perfect for family outings to the Beach, Park or picnic and camping. Folded, the pouch measures 9.5″ x 5″x 1″ and fits neatly into travel luggage or it can be hand held (Built in handle). DISWASHER SAFE: Cleans easily and is washer friendly. Simply wash, dry and reload the kit, and you are on your way. Item stores away easily in closets, Bins or it can be used as a drawer liner. Built to last, not bendy junk. Bought this almost a year ago and held off on review until I had a chance to use. Several uses in past year and am very satisfied. These are sturdy utensils, not bendy crap major camping merchants pass off as camping utensils. 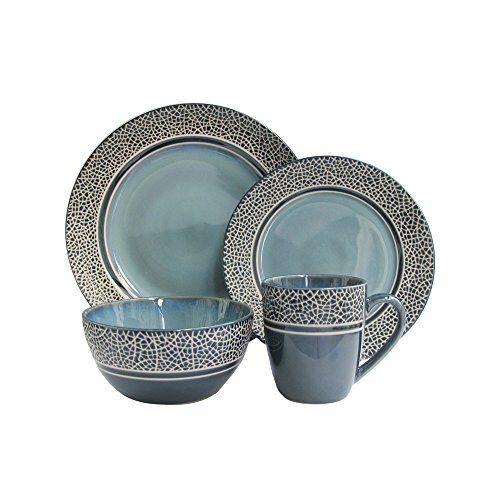 Don’t buy the cheap crap, buy decent stuff that will last you for life, like this set. 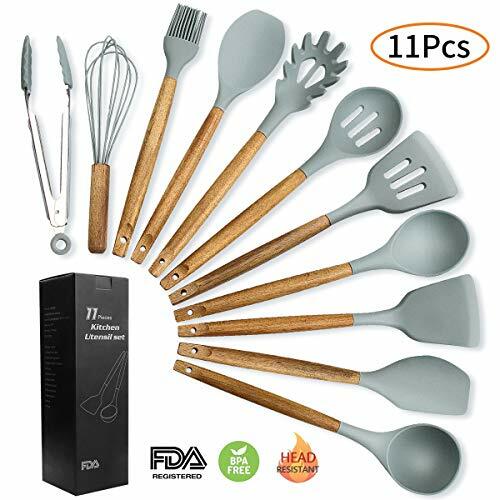 Great budget camping / at home kitchen set. So far so good! I use these everyday to replace a 10 year old set I got from a brick and mortar store. 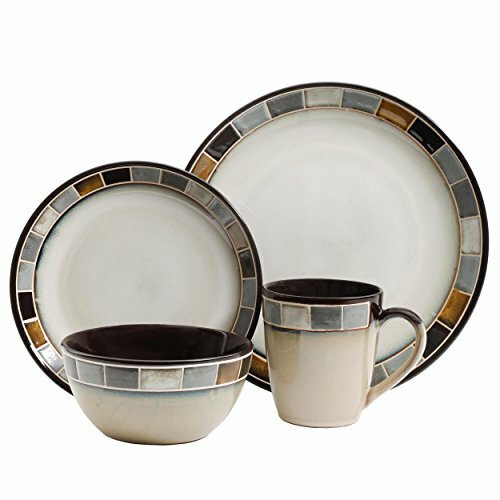 I am planning to order a second set! No rust or pitting after 30 dishwasher cycles. These are light weight, but strong. We have not had issues with any of them bending under use. I really like the carry bag (I have the orange one).